Is expat life living up to your dreams? “You Only Live Twice,” is the overblown Nancy Sinatra-sung theme to the Sean Connery-led Bond film of the same name. You know, the one where he supposedly “passes” as Japanese for half the movie? As a “romantic internationalists” I’m easily emotionally entrapped by mythic tales of global adventure. See for example the post, “I Blame James Bond.” Similarly, I’m wildly sentimental about the line, “I had a farm in Africa … ,” from “Out of Africa” even though Karen Blixen’s old-fashioned expat story ends in syphilis, heart-break and ruin. Substitute “love” with (the rather un-snappy) “life abroad” and you get a hint of what I mean. “Danger” like abandoning a practical and prudent career-track and wondering when, how and if one will ever get back. The “dream” was (and remains) too interesting to resist, safe career path be damned. After all, I could have spent the last seven years talking about kitchen renovation. What about you? Does “The Year of Living Dangerously” make you want to up-sticks for Sukarno-era Indonesia? Did “Lost in Translation” make you want to visit Japan, despite that they spent most of the movie holed-up in the Tokyo Park Hyatt? I’m not exactly sure what your point is here – I mean, is your point that you still do go along with the exotic idea and ideal of expat life? That may sound arrogant to some but I am not saying it is ‘best’ or best for everyone… but does provide the kind of extra stimulation my mind needs, good or bad! I think we see eye to eye on this one. Both “inspiring” and “stimulating” are perfect word choices. “Romantic internationalist,” what a great term! My guess is that while many people love the theoretical idea of living abroad, few will actually have a realistic opportunity (or desire) to actually get up and to move to another country. Often it is for professional reasons. We are easily influenced by pop culture (James Bond movies, books like Noble House, etc.) that paint a fictionally glamorous picture of life abroad, and so we don’t have realistic impressions of what everyday life looks like for those of us who aren’t international super spies or wealthy scions. Life for ordinary people abroad is probably not that different from life at home… until it is in the mundane aspect. This is the difference between an expat and a tourist. But what I find fascinating as a former expat is that my perspective shifted dramatically when I lived abroad to that of an outsider constantly looking in, always trying to figure out what the heck’s going on and to eventually somehow find a way to accommodate and to fit in. While back in our home countries, we sometimes choose to feel like outsiders. But living abroad as an expat, you don’t really have a choice because often there is a cultural or language barrier and/or a distinct physical differentiation (skin color.) For many, it’s quite uncomfortable and can become frustrating. For others, it stimulates a perspective shift, out of which wonderful things are born: like thoughtful expat blogs, funny stories, and a life of adventure and wanderlust. This perspective is helpful, even when said expat moves back into his/her home country. I completely agree with your thoughts on expat life creating a forced perspective shift; a wonderful way to put it. Also, very interesting to hear your thoughts on this as an ex-expat and how your perspective has remained permanently changed. Would love to read a post from you on this one day (hint, hint). Skyfall came out in HK on the 1st, but with little kids and guests in town I haven’t made it to the theater yet… I’m simply dying. Thanks for feeding the fire with the cool Bond graphic. Loved this. Freakishly, I’m drafting a post about “I had a farm in Africa…” and haven’t stopped thinking about Bond since I saw Skyfall a couple weeks ago. I grant you that Connery passing as Japanese was pretty offensive (hey, at least it wasn’t Mickey Rooney! ), but YOLT has one of the best Bond villain lairs in history. For that alone, respect must be paid. As to your actual question, I often wonder what it is about what makes some people expats and others stay-putters. I romanticize it by telling myself that I’m just more curious than other people, but I know that’s not the case. I’m right with you on YOLT (though I do cringe a little when they pull out that ridiculous little helicopter). As for stayers and goers, of those who have the chance to go abroad, heightened curiosity certainly makes for a richer experience. Looking forward to reading your “I had a farm in Africa…” post. Well I for one agree completely. So who cares of the mundane details of life are the same in the US as they are abroad, and we do the same things? Our locale is different, the culture we live in is different and going to the store or the pub DOES become an adventure outside of our wildest dreams. Cheers! Here’s to enjoying the interesting aspects of life wherever we are! Love this! I have just been obsessed with Out of Africa. 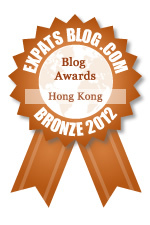 I have nominated you for the Beautiful Blogger Award, check it out. Thanks for giving me inspiration. Thanks very much! Too kind! Yes! Makes complete sense to me! Selective memory is a wonderful thing. I forget the tedium of travel, the “interesting” bathrooms, the loneliness, etc etc. All I remember is the adventure of discovering new places, new people, of encountering different cultures, different values, different ways of seeing the world. And in the process understanding myself better. The pull is strong and so yes, I’d want to do it all over again. Even the “interesting bathrooms” turn into fondly remembered interesting stories! There is just something about living abroad that makes the most mundane activities into adventures. Agreed! Even a long line at the post office is transformed into a thought-provoking afternoon.